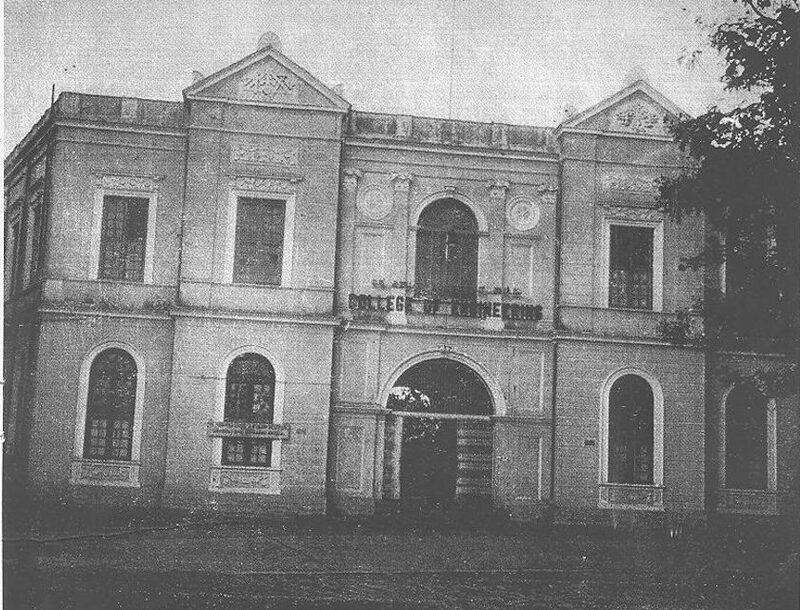 The Mechanical Engineering School was started in 1913. The required buildings were put up between the Cenotaph Road and the Post Office Road. 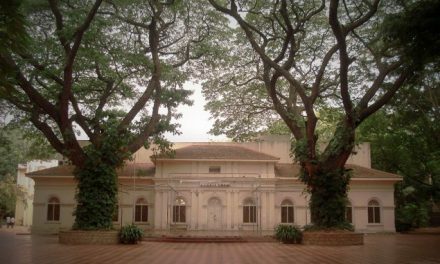 This is the beginning of the present main building of the College facing the Sri Krishnarajendra Circle. Only a frontage and a short length of the wings on either side were constructed. The Central portion now housing the library was also put up at that time. Some structures and shades were put up to house some shops, smithy, carpentry and so on. When the college was started all these came in handy and served as a nucleus around which one could build to secure the necessary accommodation. It was also convenient in a way, since at that time the Engineering School and the College had to work in co-operation, the shops and equipment of one being used by the other. 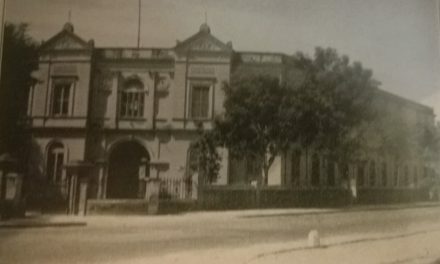 On the western side of the Post Office Road, at its junction with Sheshadri Road in the same K.R.Circle, the then Electrical Department had put up some buildings, car barn as in those days the Department had planned to run a tram way service in the City. It is of historic interest to note that the necessary equipment had actually been ordered and even shipped from the U.S.A. The famous German raider Emden had torpedoed the Ship. It was the period of the First World War. The equipment and the ship and along with them the plan to have tramway in Bangalore all went to the bottom of the sea for ever. Anyway these buildings were acquired for the use of college. From these small beginnings the present complex of buildings on either side of the Post Office Road has grown up. There is now a proposal to have a separate University campus. In due course the College will find its new habitation amidst sylvan, verdant surroundings far removed from the hustle and bustle of the city. Sri K. R. Sheshachar, an illustrious alumni of the Madras University was appointed as the first Principal. He modeled the courses on the Madras pattern with some modifications. 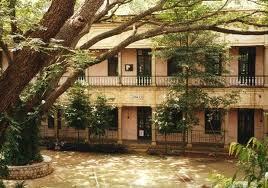 Madras unlike the other neighboring University of Bombay had a four years course after intermediate. The Mysore University had not instituted the two year intermediate course for those wishing to join the University but had a year’s course after SSLC and an University entrance examination. The courses for B.E degree examination extended over a period of 4 years after entrance. There were only two sections, namely Civil and Mechanical Engineering as in Madras. The Madras Engineering College had its own examination and was awarding diploma to those who had passed in the College examination which gave great prominence to class work. Such students who wished to take the degree sat for the University B.E examination in addition. Mysore University being a teaching University, the College examination did not find a place, but in the scheme of examination itself about one third of the aggregate marks was set apart for class work and tests. Originally, like the sister University, there were only two examinations, the first one held at the end of the second year and final at the end of the final or the fourth year. Subjects were grouped into three with minima for each group and a higher percentage in the aggregate for a pass. Class record marks were included in each of the groups. Somewhere in 1924, a third department, namely, Electrical Engineering was added thanks to the efforts of Late Mr S.G Forbes, who was then Chief Electrical Engineer and Sri S.A Ramaswamy Iyer, the then Principal. 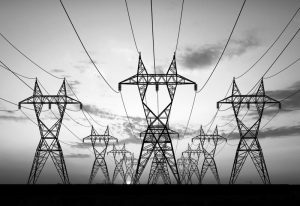 Mysore University was the first in India to have a separate Degree awarded in Electrical Engineering. This threw an additional financial burden on the University, whose finances were already under strain. As stated elsewhere the College had no union of its own till 1947. There was a common Union for this College and the Central College. It was little inconvenient for students of this College to make good use of the Union facilities both on account of the distance and special hours of work in the College. In 1974 Colleges got separate Unions for themselves. The Engineering College Association was dissolved and merged with Engineering College Union managed under University auspices. The Old Boys of the College had long felt the need for an Association which would enable them to keep in touch with their Alma Mater and afford them an opportunity of coming in contact with one another. The desire was keener after the merger of the College Association with the College union as noted above. The idea was then discussed among several past students locally and informal discussions on the desirability and feasibility of forming an Old Boys Association were also held with the several past students who came down to Bangalore on leave or in connection with several professional; conferences, meetings, committees etc. 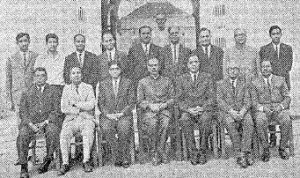 Finally an organizing committee was formed in March 1949 with Prof. C Gopalakrishna as Chairman to consider the ways and means of forming such an Association. This committee endorsed the need for an association and setup sub-committees to go into the questions of fees, fiancé, memberships etc. The Principal of the College of Engineering and the President of the Engineering College Union were ex-officio members of the Committee. The Managing Committee at its first sitting decided to change the name of the Association to “The Alumni Association”.